By now, I’m sure everyone has gobbled up our turkey fruit platter! It was so cute and perfect for Thanksgiving, but why let the fun stop there? So I decided to create a christmas tree fruit platter! This fruit platter would be a festive and healthy thing to make for an office holiday party or for your family to enjoy when you get together to celebrate Christmas. 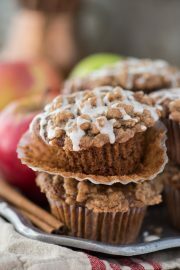 You could serve it for breakfast alongside pancakes, french toast, or oatmeal. It would also be great as a pre-christmas dinner appetizer! Or pair it with fruit dip and I can guarantee it will disappear! Some people were skeptical about my turkey fruit platter (cough cough, my family). They thought it would take too long to make. 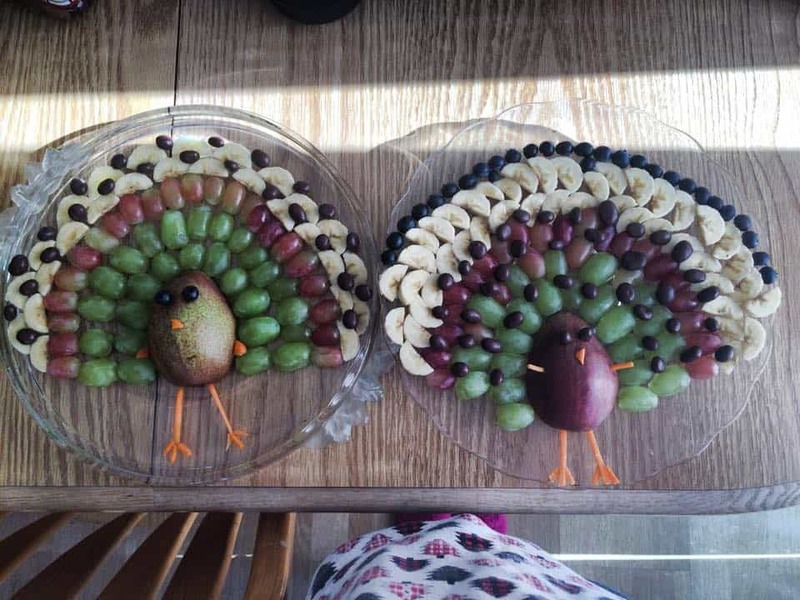 So my family set out to make a few turkey inspired fruit platters for Thanksgiving and they did a really great job, you can see a picture of their platters here! 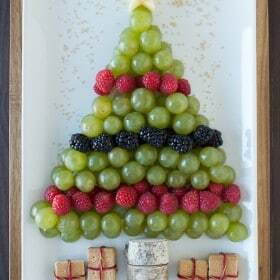 If you’re feeling a bit skeptical, thinking you don’t have time to make a fruit platter shaped like a christmas tree when you have a hundred other things to prepare on Christmas Day, I have some suggestions for you..
2. Talk your kids, nieces, or nephews into making it for you, I think they’d have fun! 3. Make it on a different day, not Christmas Day, so you can still enjoy it without having to mash the potatoes, carve the ham, and set the table. This fruit platter will take you 30 minutes max to make! 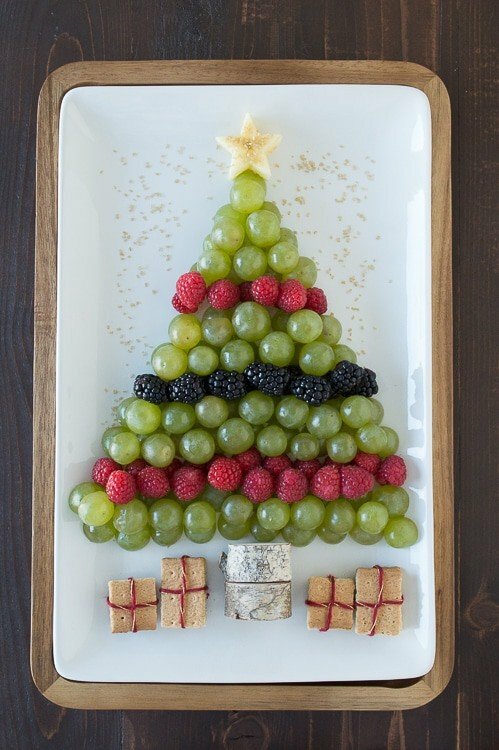 To make the christmas tree fruit platter I used.. I layered the fruit, meaning I put the various fruits on the tray and then went back and added more of each fruit of top, creating 2 layers. Each present is made up of 2 graham cracker pieces, to add depth. 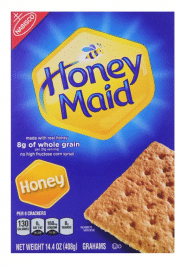 The rectangular shaped presents are simply a large graham cracker (like from the store) broken into rectangles along the lines that are already on the graham crackers. To make the square presents, use a knife to cut off some of the graham cracker from a few of the small rectangular pieces you created by breaking a large graham cracker. As for the tree trunk, those round wooden slices are something we had laying around the house, but most likely you won’t have something exactly like that. 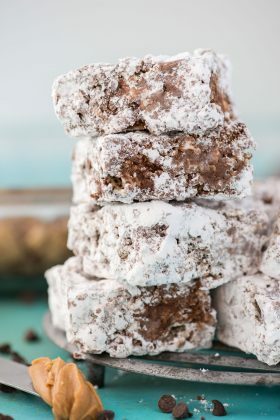 If you want the tree trunk to be edible, you could use pretzel sticks, chocolate covered raisins, brown m&ms, or even another rectangular graham cracker piece. Now that you know the logistics, I think you’re ready to make your own! 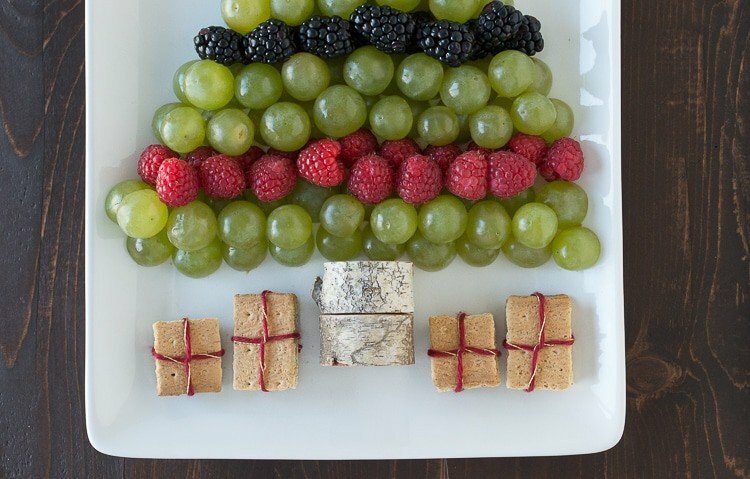 I think this christmas tree fruit platter is something that your family and friends will really enjoy this holiday season! Wash and dry all of the fruit. Cut the grapes in half. 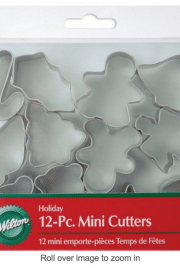 Slice an apple into rounds and use a mini star cookie cutter to cut out 2 stars from the apple. To assemble the tree, begin by placing the grapes near the bottom of the platter. Make sure you leave enough room at the bottom of the platter to add the trunk and presents. For the first layer of fruit (going from the bottom to the top) add 2 rows of grapes, 1 row of raspberries, 2 rows of grapes, 1 row of blackberries, 2 rows of grapes, 1 row of raspberries, and then 4 rows of grapes. 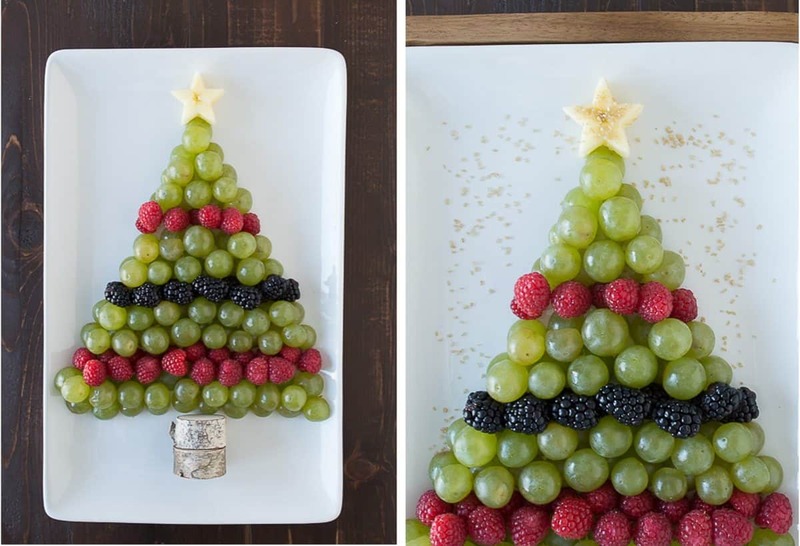 As you are adding the fruit, be sure to taper the shape so it looks like a christmas tree. Add a second layer of fruit on top of the layer you just created – 1 row of grapes, 1 row of raspberries, 2 rows of grapes, 1 row of blackberries, 2 rows of grapes, 1 row of raspberries, and then 3 rows of grapes. Place the star at the very top of the tree. Add your tree trunk to the base of the tree. To assemble the presents, make 2 square presents out of 4 square graham cracker pieces, using 2 for each present. Make 2 rectangular presents out of 4 rectangular graham cracker pieces, using 2 for each present. Use red and gold string to tie the graham crackers together. Place tie side down on the platter underneath the tree. 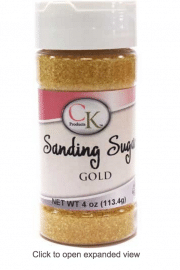 Finish by adding gold sprinkles to the star and around the top of the tree on the platter. You are so creative! Love this festive fruit platter! Goll, thank you Jessica! I am loving that bark you made!! Oh my gosh. So crazy because my mom just made a fruit tree like this for my Dad’s company holiday party tonight! 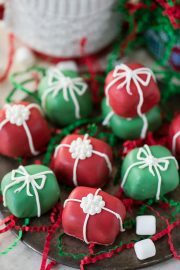 How did I know you would be making Christmas themed desserts and such?! You are too creative! Beth, you as always bring the best ideas!!!! Love love love love it so much! Thanks for sharing, my dear! Thank you for your sweet comment Olivia!! When I first saw it I thought you had used ash ripened goat cheese for the trunk. The kiddos would have run away screaming, and i would have all that fruit to myself! Ha! Love this to pieces Beth. Oh my goodness! I’m not even sure what ash ripened goat cheese is!! Bring some tree trunks when you visit this Christmas and let’s make this one too! The Turkeys did turn out great didn’t they? I am so glad you guys made them!! This is so cute! 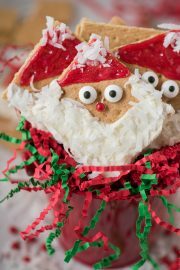 I will definitely have to make this for one of our Christmas parties! 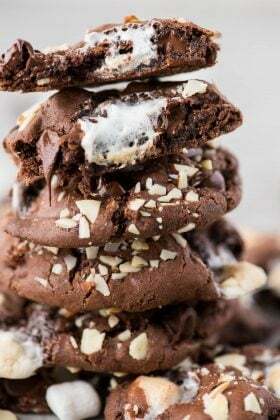 Pair it with some chocolate fruit dip, yum!! This is so adorable and a great way to display fruit. I bet my daughter would eat more fruit if it was in this cute presentation. And eating more fruit is always a good thing!! 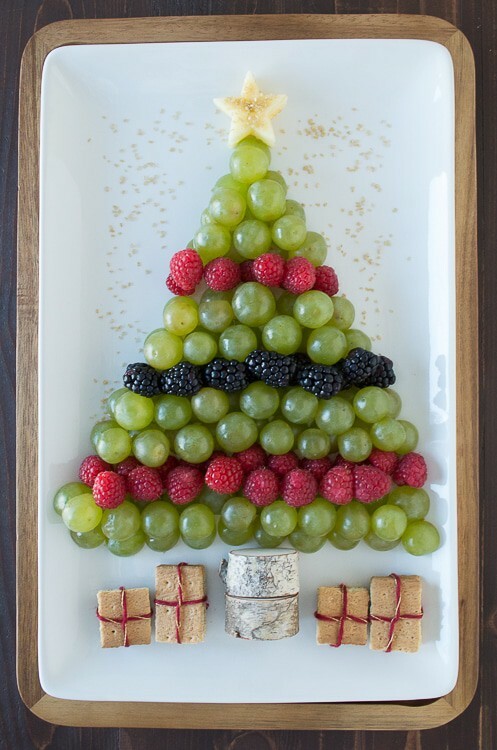 I loved your cute turkey fruit platter, and this Christmas tree one is just as fun and festive! Kristine, thank you friend!! Glad you like both of them! awe what a simple and cute idea to add festivity to the holiday season! I love your use of the word festivity! I think your platters are super cute and would be a hit at any party! That’s my favorite part too! If only I had made little bows for them! My kids would have a lot of fun making this! Cute! Hey, it could become a tradition! Another great job. I love your little packages too. I hope no so and so’s go and stick banana slices on it. This is just perfect! I absolutely love this, Beth! Especially the presents under the tree! Aww, thank you! The presents were fun to make! Oh my gosh, this is Too. Freaking. CUTE! I loved your turkey, but this one is even better (if that’s even possible). 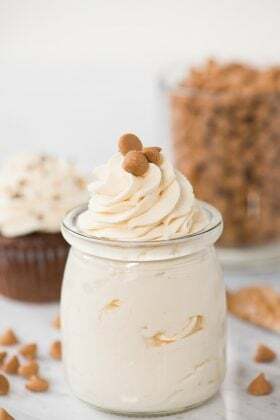 With all the super sweet cookies and desserts going on around this time of year, it’s nice to have something like this that you can munch on without any type of guilt. And those graham cracker presents kill me! I will definitely make this with my daughter this year. Amanda, thank you so much!! I am glad you like this platter too! 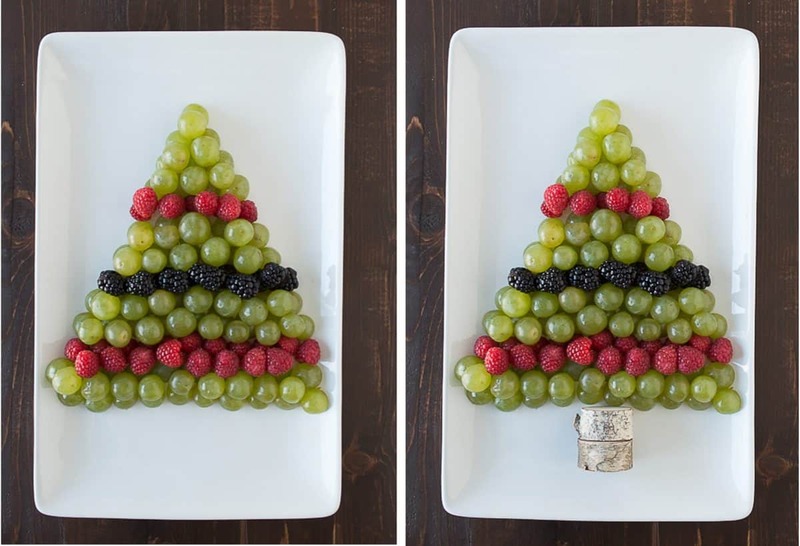 How do you SERVE the fruit on the Christmas tree? I tried mine tonight and fruit was rolling everywhere! I’d put the platter where I want it to be and then assemble the christmas tree! I think this looks like so much fun, I think I will be using the israeli giant dates as a tree trunk if there are any left..that is. Also I originally thought you used a “star fruit” as the star at the top..we are not a star fruit liking family so I’m glad about the apple..my son devours apples! I think I will try a small version of this for his lunch! That will be so fun!! I hope he enjoys it! Hi,Beth! My daughter has a Christmas party coming up for her class. She is in Kindergarten. Can you suggest something that I can make so everyone will enjoy. Your ideas look so nice, but theirs so many to choose from.